The Philadelphia Eagles are pleased to announce that Braskem (B3: BRKM3, BRKM5, and BRKM6; NYSE: BAK; LATIBEX: XBRK), the world’s leading biopolymer producer and the largest polypropylene producer in the Americas, will join the organization as a partner in recycling. Braskem enters into a nine-year sustainability-focused partnership with the Eagles, building on the team’s long-standing commitment to environmental and community development programs. With its North American headquarters in Philadelphia, Braskem operates in the chemical and petrochemical industry and plays a significant role in other production chains that are essential to economic development and creating sustainable solutions that improve people’s lives in areas such as housing, food and transportation. Through this new integrated partnership, Lincoln Financial Field’s Northeast Gate will be renamed the Braskem Gate. In addition, the partners will jointly develop recycling awareness content for exposure across the team’s digital and social channels. 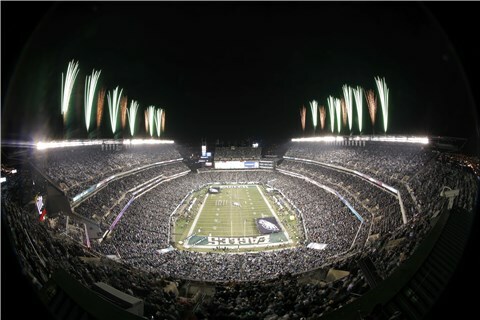 The Eagles’ Go Green! program has been nationally-recognized for its commitment to sustainability and eco-friendly measures. What started out with blue recycling bins under each employee’s desk in 2003 has turned into a company-wide sustainability program that is diverting more than 99% of waste from landfills and operating on 100% clean energy. In June 2018, the Eagles became the first professional sports team to receive ISO20121 certification, which is an international standard designed to help organizations integrate sustainability into management practices and processes. For more information on the Braskem partnership or the team’s Go Green! program, please visit www.PhiladelphiaEagles.com .